KANSAS CITY, MO (Jan. 9, 2019) – Planet Comicon Kansas City, the largest and longest-running comic book convention and pop culture event in the region, is excited to share another round of celebrity guest announcements for its 20th anniversary show, March 29 – 31 at Bartle Hall. Professional wrestlers, superheroes, villains, comic creators and more will come together at Planet Comicon Kansas City in 2019. Planet Comicon Kansas City has added two WWE superstars, WWE Hall of Famer, Mick Foley, and WWE Superstar, Rey Mysterio, to the ever-growing lineup of celebrity guests. Foley is a legendary professional wrestler, multi-time best-selling author, and stand-up comic/spoken word performer. 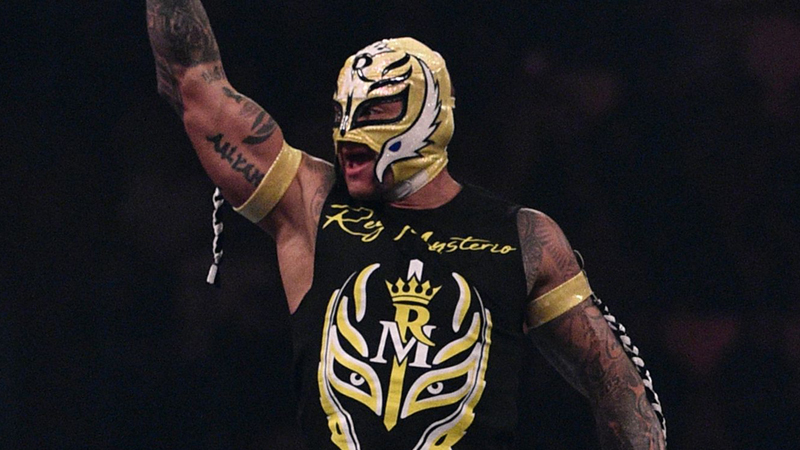 Óscar Gutiérrez, better known under his ring name Rey Mysterio, joins the esteemed lineup for March 30 and March 31. Currently performing on the Smackdown brand, Mysterio is well-known for his lucha libre training and becoming the smallest superstar to ever win the World Heavyweight Championship. Both Foley and Mysterio are two of the most recognizable figures in the industry and will be making their first appearance at Planet Comicon. Planet Comicon Kansas City continues to add guests to the pop culture extravaganza’s 20th anniversary celebration. Foley and Mysterio join Dean Cain, Tom Welling, Michael Rosenbaum, James and Oliver Phelps, Bonnie Wright, John Wesley Shipp, Chris Sarandon and Cary Elwes among the announced celebrity guests. The expansive comic creator lineup includes Teenage Mutant Ninja Turtles co-creator Kevin Eastman and Detective Comics #1000 artist Doug Mahnke. Planet Comicon is continuously announcing celebrity guests and comic creators on its social media channels leading up to the event in March. A highlighted list of guests that have been announced to date is included below. A variety of ticket packages including individual and multi-day admission and membership options are now available online at www.planetcomicon.com. An exclusive ticket package is available to Costco members and special discounts are available for teachers, librarians, active duty military and first responders. Planet Comicon Kansas City also offers hotel accommodations that offer exclusive benefits to Planet Comicon attendees. Costco Members: Planet Comicon Kansas City is offering a discounted ticket option for Costco members that is available for purchase in-store and online through February 17, 2019. Family Day: Sunday, March 31 is Family Day at Planet Comicon Kansas City. All Kids 12 and under will receive free admission on this day. FOUNDED IN 1999, PLANET COMICON KANSAS CITY IS CELEBRATING ITS 20TH ANNIVERSARY as Kansas City’s largest and longest-running comic book convention and pop culture event. Past guests have included Stan Lee, Jason Momoa, Karen Gillan, William Shatner, Stephen Amell, George Takei, and Ric Flair. Not affiliated with any other event, Planet Comicon Kansas City is locally owned and produced and one of the region’s largest events of its kind. For more info about the 20th Anniversary of Planet Comicon, guest announcements and ticket details, visit www.planetcomicon.com; “Like” @PlanetComiconKC on Facebook and follow @PlanetComicon on Twitter.